This antique Wedgwood plate has been around for as long as I can remember, as it belonged to an Aunt of my mother. 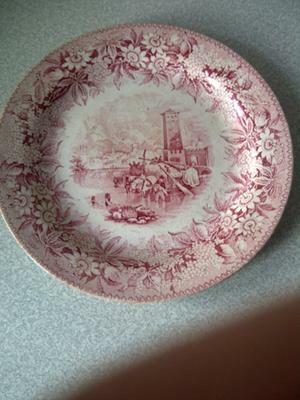 I’ve been downsizing ornaments and have passed on many items to a charity shop, but I thought I would check out the antique marks on this plate using google but without success. 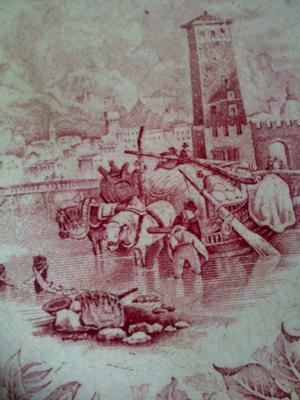 The plate measures 9″ across, has a floral edge and what looks like an industrial picture in the centre depicting men and horses at work. It is coloured a shade of red on whitish cream.  The back of this antique Wedgwood plate has an impressed WEDGWOOD mark and letters that look like ‘A S’. 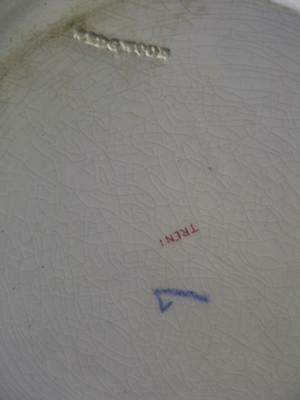 There is also the word TRENT in a red shade and what looks like a 7 in blue. Hopefully someone can satisfy my curiosity.